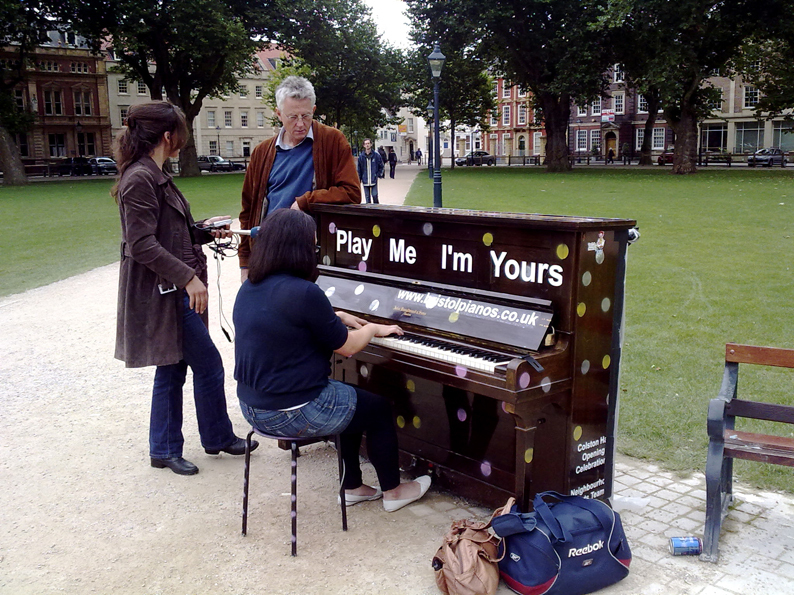 On the 4th September 2009, sixteen pianos appeared in and around the streets of Bristol, England. Some had been placed in parks, others in residential streets, but all of them had been decorated individually, and tuned perfectly. And, after a bit of head scratching, people put down their shopping bags and began to play. The people of Bristol had embraced the unusual and for a whole month the city went about it’s business to the distant sound of pianos. The man responsible was local artist Luke Jerram and in getting us to play pianos in the street he is questioning the very ownership of public spaces. When we engage with our urban environment we are more likely to engage with each other, and it’s creative thinking like this that gives our cities personality. Last month Leeds city council announced that in addition to a new retail complex of 180 shops, a large ferris wheel is to be erected in an attempt to revitalise the city. “Our vision for Leeds is to be a regional capital, an internationally competitive European city” says the council manifesto proudly. Well, as important as shops are to a regional economy, they don’t give a city an identity, and they certainly don’t enhance people’s pride in it. Tall buildings made of glass don’t make a city modern – the people who live in it do, and until town planners are ready to embrace that idea it’s down to artists like Luke to help make our cities interesting places to live.